What to do with the kamikaze? Do we admire his reckless sacrifice or do we fear a bravery that looks supiciously like insanity? Maybe the correct response is pity. Dead is dead, no matter what cause you dress it up in. Calling Kyle Killen the most interesting writer splashing around in the shallows of network TV may sound like faint praise, but it shouldn’t. He’s a restless and curious thinker, his mind spilling over with startling ideas and ingenious puzzles. What’s more, Killen is blessed with the rare ability to distill those ideas and puzzles into dense scripts that soar with surprising, entertaining lightness. Or perhaps I should say he’s cursed: These scripts are invariably bought by broadcast networks hoping to smarten up their content, praised by critics for being “cable quality,” and then, when they’re finally filmed and broadcast, summarily ignored by viewers. And then, God bless him, Killen cracks his knuckles and does it all again. The very public failures of Lone Star on Fox in 2010 and Awake on NBC just two years later weren’t so much referenda on Killen’s abilities as they were refutations of his entire ethos. His desire to improve the pitiful state of the network drama is commendable; big ideas and good big ideas especially deserve the largest audience possible. By taking cable ideas and stretching them, like taffy, into something broader, Killen is challenging the status quo. But in the process he’s also confusing a generation of viewers increasingly accustomed to segregating their viewing experiences. Both Lone Star (about a Texas con man living a double life) and Awake (about an L.A. cop caught between two divergent realities) faltered because neither was able to reconcile a larger binary, not one of quality but of perception. There are plenty of people who watch NCIS and Mad Men precisely because of their differences, not in spite of them. Armed with countless options and patient DVRs, today’s audience appears perfectly happy to treat their TVs like McDLTs: The noisy network fare stays hot, while celebrated, prestige cable stays cool. Mind Games, premiering tonight on ABC, is Killen’s latest attempt to combine the two sides into a single, satisfying whole. (Disclosure: Grantland and ABC are both owned by Disney.) And while the third try is certainly charming, the cracks are also beginning to show. Like all Killen’s work, the series has a fascinating conceit. Here, it’s the idea that generations of academic study into human behavior could potentially be used by rapacious types to manipulate the world for fun and profit. And yet once again, the necessities of network procedurals have required Killen to spend a great deal of his time obscuring his big idea with lots of little familiar ones: family drama, daddy issues, sick kids, bickering exes. After a breathless, dazzling rush of exposition, Mind Games’ unbalanced pilot makes it pretty clear which part of the show Killen actually cares about. I admire him for wanting to give us our vegetables. But I also don’t blame viewers for wanting more meat. Mind Games tells the story of Clark Edwards, a psychological genius who is also a touch psychotic — which is made doubly obvious by the casting of human tic Steve Zahn. 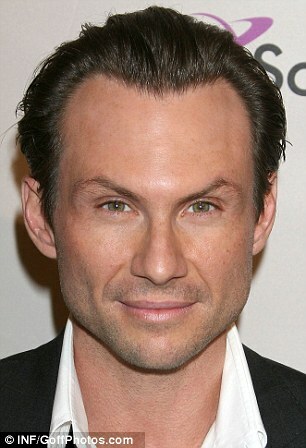 After being shanghaied from academia for obsessing over a student, Clark joins up with his brother Ross (Christian Slater), an ex-con businessman with beaucoup skeletons in his closet. Along with a crew of suits and nerds that’s not nearly motley enough, the brothers open Edwards and Associates, a firm devoted to changing minds and lives through the sketchiest pseudo science imaginable. In early episodes, they convince a cold insurance administrator to approve an expensive treatment by staging a bum fight at a bus stop (per Clark, highly adrenalized moments make us reconsider who we “really” are) and reconnect a congressman with his lost values by waving Q-tips dipped in grease under his nose (an early campaign office was located above a fried chicken joint). It’s In Treatment reimagined as a heist flick. It’s a makeover show devoted to the real interior design: Say Yes to the Id. All of this is potentially fascinating and Zahn, to his great credit, manages to tiptoe on the very fine line between evangelist and crank. (When he’s not yanking off Ron Rifkin’s shoes to prove a point about dominance or dropping grass clippings down a chimney to reconcile a father and son, that is.) Yet Killen’s devotion to his core, impossible-to-dumb-down idea has left nearly everything else severely underbaked. Slater is his reliably flinty self — despite his recent track record, he’ll stop working only when his eyebrows do — and Megalyn Echikunwoke shines as an acting student recruited to play various parts in the firm’s schemes. But the rest of the crew — including Cedric Sanders as a guy who wears ties, Gregory Marcel as a guy who wears glasses, and Jaime Ray Newman as a woman with red hair — is frustratingly bland. Together they indulge Clark’s quirky monologues and complain about imminent bankruptcy while sipping coffee in their multimillion-dollar downtown Chicago loft. They’re as much spectators as we are. In the fifth episode, one of the two made available by ABC for review, Clark tussles with a teenager over tattoos. “They represent a fundamental misunderstanding of the persistence of personal identity,” Clark says dismissively. Not so, says the intense teen: “Sometimes our future selves need to be reminded of our actions in the past.” It’s not hard to imagine a similar conversation unfolding between Killen and his agent sometime next year when CBS comes calling to give Killen one more shot. Call me cynical, but it’s an argument I hope the agent wins. I don’t want Killen to give up on the traditional, 22-episode-per-season network drama for the same reasons I don’t want to give up on it myself. But while he’s bravely rolling this heavy boulder up the hill, the hill is changing all around him. Increasingly, networks are willing to take on shows that are cablelike in structure, not just tone: miniseries, event series, limited series, whatever you want to call them. More and more, channels of all stripes seem willing to invest in the versions of shows that best service good ideas, not the other way around. I love that Killen refuses to stop flying close to the sun. I’m just growing sick and tired of seeing him get burned.